The United States military has secretly sent a task force of more than 150 planners and other specialists to Jordan to help the armed forces there handle a flood of Syrian refugees, prepare for the possibility that Syria will lose control of its chemical weapons and be positioned should the turmoil in Syria expand into a wider conflict. 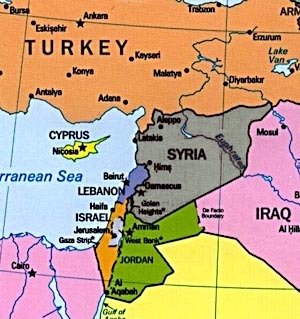 ….Officials said the idea of establishing a buffer zone between Syria and Jordan — which would be enforced by Jordanian forces on the Syrian side of the border and supported politically and perhaps logistically by the United States — had been discussed. But at this point the buffer is only a contingency. Over at the Atlantic, Robert Wright explains why full-scale war between Turkey and Syria is a genuine possibility. It’s sort of a cross between Vietnam and World War I. Stay tuned.